When I booked my flight to Bangkok I found that I had a 7 hour layover in Shanghai. This seemed like a ton of time to kill so I wanted to see if I could go to the city during that time. After doing a lot of research on if you could but I kept getting different answers from different sources. So here is how I left the airport and how you can maximize your layover time. Since no cameras were allowed in most of the airport I do not have many pictures of which lines you need to get in but I will describe what you should be looking for. The Big Question? Do I have enough time to leave and comeback? The answer is it depends on your layover. I had a 7 hour layover and found that I had enough time to go to one place. This is how I allotted my time to get there and back. When you are close to arriving at the airport the crew will be handing out customs forms. Take one and fill out both the arrival and departure side and also fill out the backside as well. When you exit the aircraft you will see signs for immigration and transient passengers. You will want to follow the signs for immigration. When you get to the entrance you will see a sign that says visa on arrival DO NOT GO THERE! Also, you will see a line for transient passengers. This is you but if you go through that line you cannot not leave the airport. It will take you straight to the international terminal to your connecting flight. You want to enter the immigration line and follow the sign that says 24 hour/144 hours visas. There are several signs but you want to go all the ways to the right against the wall and you will see the visa sign you are looking for. Once you are in the line present these items to the immigration officer and they will stamp your passport and you will be on your way. This process took me about 20 minutes but it all depends on the line. Step 3: Get China money! Follow the signs to exit. When you come down the escalator you will find a currency exchange stand. I exchanged 40 USD and received ¥201. This was more than enough for the couple of hours that I was going to be out exploring. Make sure you have your passport on hand to exchange money! Also, you cannot exchange Yuan back to USD unless you are a Chinese citizen. I ended up exchanging my Yuan in Bangkok’s airport for Baht. SIDE NOTE: Grab a map of the city at the bottom of the escalator. This will have the train stops and sights on it! This is essential to keeping on time so you don’t get lost! Exit out through custom’s where it says nothing to declare (unless you do!) and go up the escalator and follow the signs to the Maglev. It will be a 5-10 minute walk and at the entrance to the train station there is a window where you can buy your tickets. I bought the round trip economy ticket for 80 Yuan. There is a VIP option that is 180 Yen but you do not need to buy it because you will only be on the train for 5-6 minutes due to how fast it goes. Did I mention that this train hits speeds up to 450 KPH!!! Crazy fast! Buy the round trip ticket ¥80 and go through security. Essentially you just drop your bag through an X-ray machine and walk through a metal detector. Grab your bag and wait for the train. It arrives every 20 minutes. 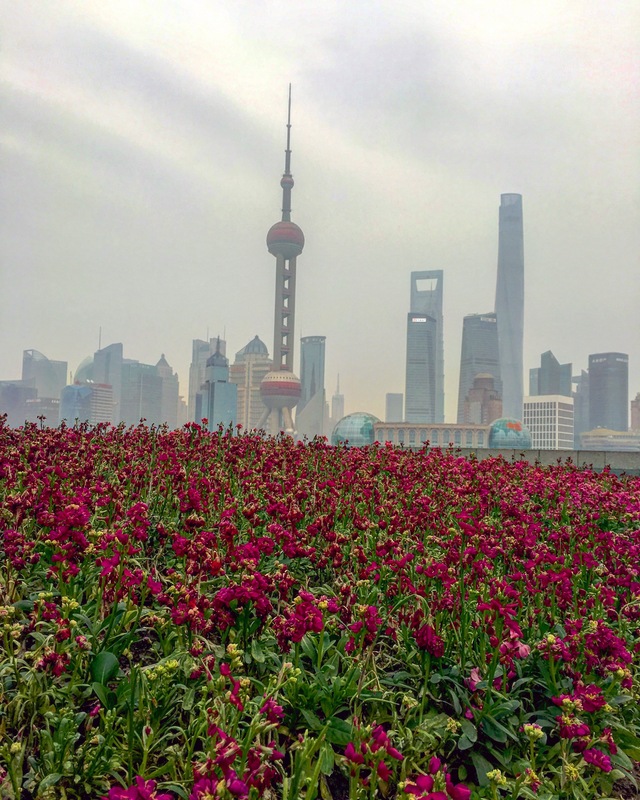 The Bund is a great option if you only have an hour or two to explore the city. It is an amazing waterfront and regarded as the symbol of Shanghai for hundreds of years. It is on the west bank of Huangpu River with stunning views of the financial district! The best way to get there is to take the Maglev from Pudong International Airport to Longyang Road. Don’t get too comfortable during the ride because it’s a short 6 minute ride to Longyang Road. Exit the train and follow the signs to Line 2. You will go down a flight of stairs and cross over to the metro station. When you enter you will need to buy a metro ticket which is located next to the security check with another X-ray machine. Use the self service machines and be sure to change it to english (the button is in the top right corner). To pick your ticket look at the bottom for THE GREEN LINE 2. Then select the button for station Nanjing East Road. The ticket will cost 4 yuan. Pro Tip: make sure you put your Maglev ticket in a special pocket because it looks exactly the same as the metro ticket. You do not want to mix them up. When you go down the escalator to the train platform make sure you take the train heading for Xujing East for SIX stops then exit the train on the Nanjing East Road Stop. When you exit the station use EXIT 1. Go up the stairs and you will exit to a big shopping square. Turn right again on the first street called Shanxi S Road. Go down one block and turn right again Tiajin Road. Take this road straight all the way to The Bund. Note that 4 blocks down it turns into Dianchi Rd but it is still the same street. After 8 blocks you will see The Bund. Cross the street and walk up the stairs to the spectacular waterfront view! Pro Tip: Google Maps and google does not work in China so screenshot your directions before you get there. Once you are at The Bund there are plenty of opportunities for photo ops! Walk north along the river and you will find a nice garden and then past it you will find a giant monument. There is not much to do here but marvel at the architecture and take photos but it is still well worth it. Side note: If you have more than a few hours you should walk to the Yu Gardens. It is spectacular and only a 25 minute walk. Just beware that it is heavily visited so there will be lots of tourists. The easiest way to get back is to follow the same route you took to get there. Also, be sure to stop and east some street food! 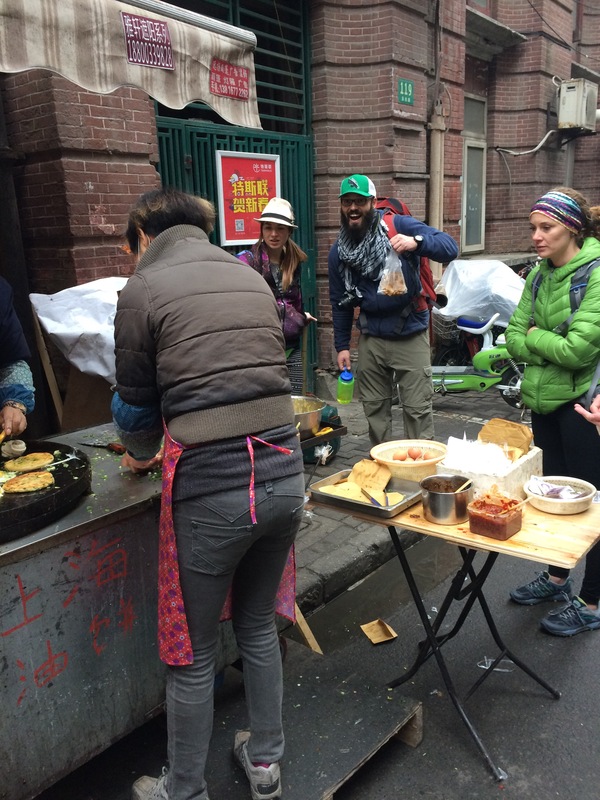 I ate at a stall that had some Shanghai Pancakes! So good! There is also a cool little market store on the corner called Shaowansheng Foodstuffs Company. They have some really cheap snacks and food. Relax out side on the bench sipping on some coffee before you go back down to catch your train back. Essentially follow the same route you took to get to The Bund. Once you get back to Pundong Airport you will exit the train area and see a big open space to go to your terminal. There are two terminals. Stop and check your plane ticket to find your carrier and go to the corresponding terminal. Go through security checks into the airport and go to International check-in to find the security line to get in to the gates. Pro Tip: If your ticket does not have a gate number like mine did go to the J check-in desk area and there is a managers desk who can tell you your gate number. This by far was the most time consuming part of the layover. I allotted 2 hours for this portion of my layover. Going through the immigration of was quick and easy. Just have your passport, departure card for customs and your plane ticket. After you pass immigration you immediately go through security check. This is the longest process of the whole trip. Once you are through here just find your corresponding gate and hop on your plane! I hope this helps with your travels and be sure to comment and share with your friends! Hello! This is so helpful! We have a 7 hour layover as well. 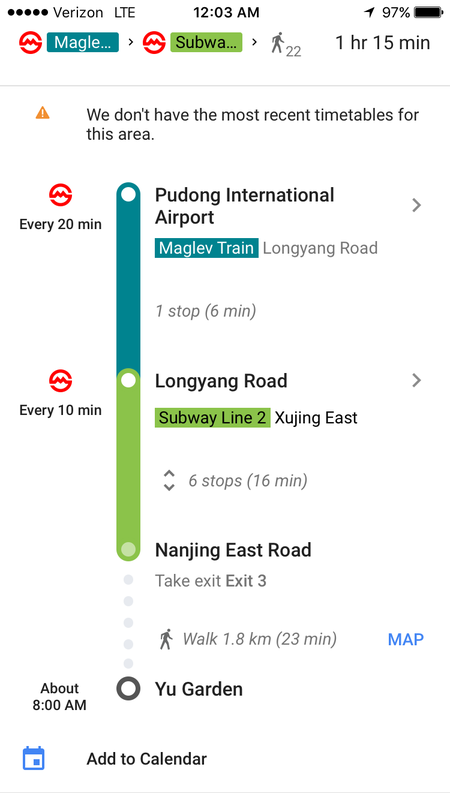 What I am confused about is how long it actually takes to get to/from Pudong airport. 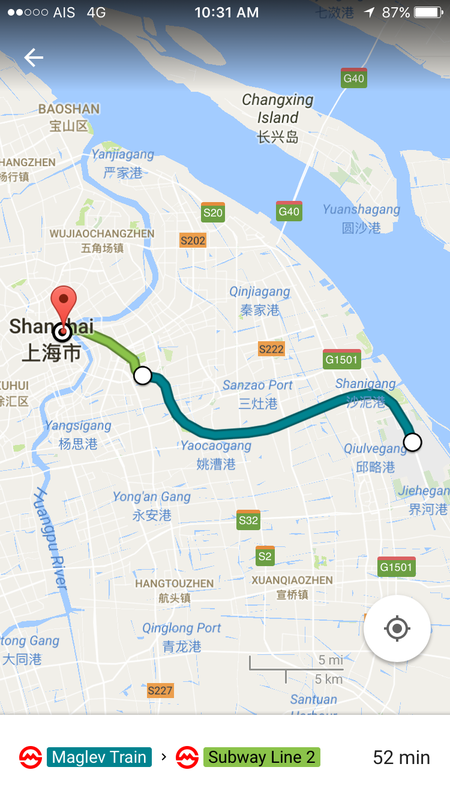 I understand that the train only takes 8 minutes, but everyone is saying it takes an hour to and from the airport from the Bund. Can you elaborate more on this? Is only 2 hours in the city worth the 3-4 hours of travel and TSA. Yes. The train only takes a short time but you will need to take the metro to get the bund then walk to it. So it adds a lot of time. Did you have to collect your checked in luggage? If, so is this after you got a stamp to exit the airport? Also, if I wanted to use a lounge to shower, will I not be able to leave since it is in one of the terminals? Depends..if your bags are checked all the way through to your final destination then no. If you can find a lounge in the terminal you arrive in then you’re fine but if not then shower in one when you return from Shanghai. Just plan that in your time when you decide to head back to the airport. No problem! I hope it helps!